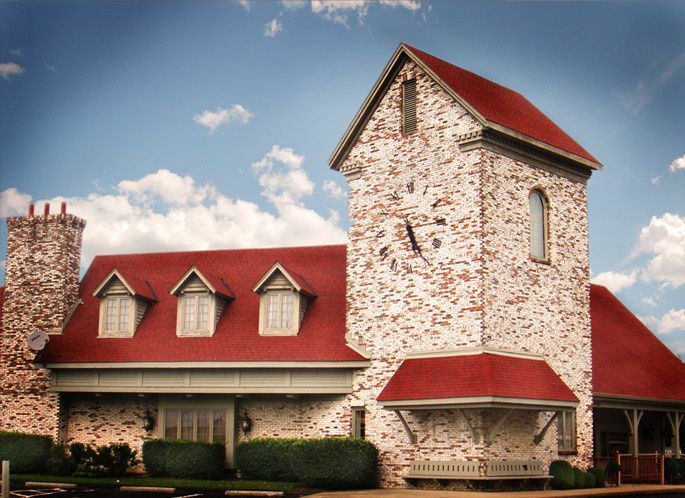 The Clock Tower is a private and elegant ballroom wedding venue located in Columbus. This building blends together contemporary elegance with old-world grace to bring you a truly dynamic atmosphere. 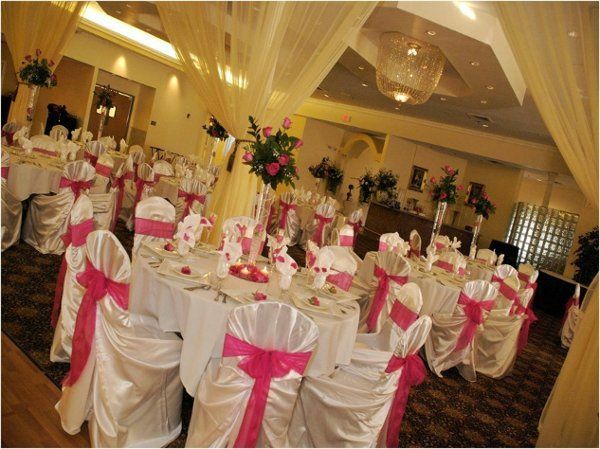 Their talented staff’s goal is to give you a stress-free experience so you can enjoy all of the splendor that comes with your special day. 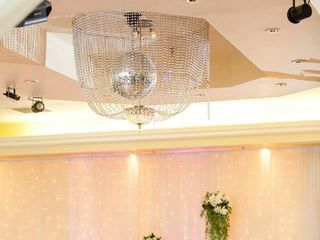 Take advantage of their complimentary event planning services and select from their variety of musical entertainment options. 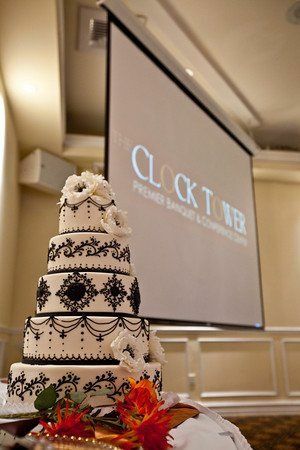 Contact The Clock Tower today for a magical wedding day experience. 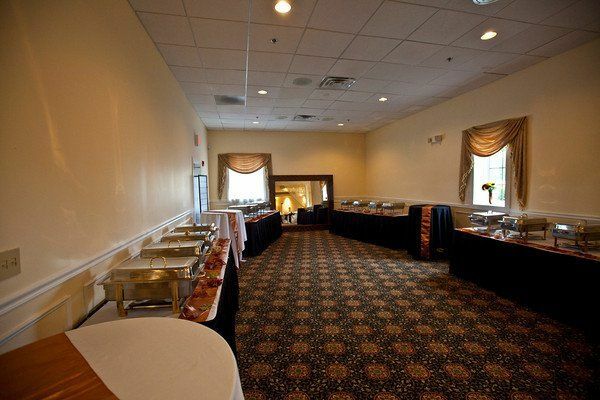 The newly remodeled building is able to hold up to 350 guests during your event. This 7,000-square-foot space is adorned with Swarovski crystal chandeliers, Grecian columns and two granite bars that will create a one-of-a-kind environment. Couples can select from a wide variety of serving options, including buffet, family style, hors d’oeuvres, plated and stations. Inquire with this vendor to learn more about their specific cuisine options. 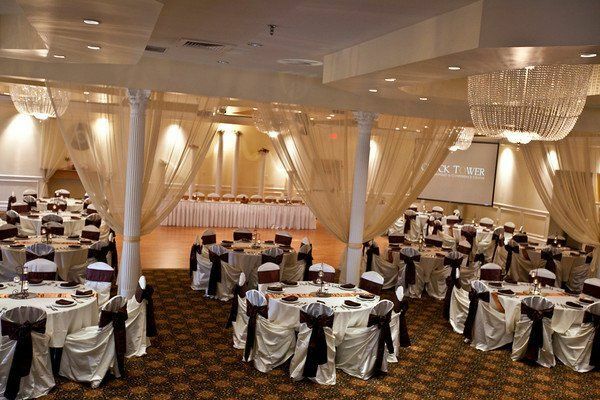 This venue is located in Eastland, a southeast neighborhood of Columbus. 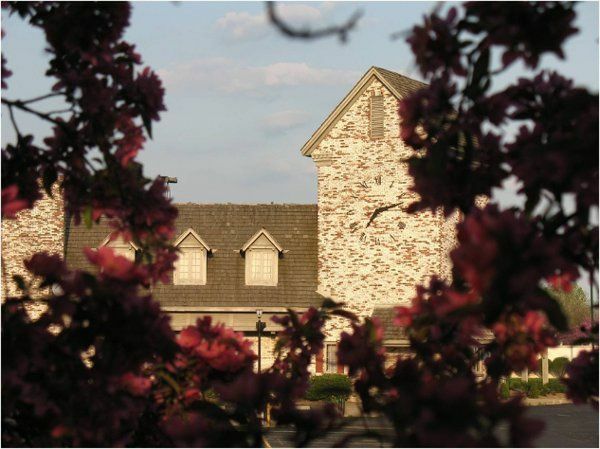 From this location, you and your guests will easily be able to reach all of the best lodging and restaurant options that downtown has to offer. For those who are flying in, this venue is only 15 minutes from Port Columbus International Airport. 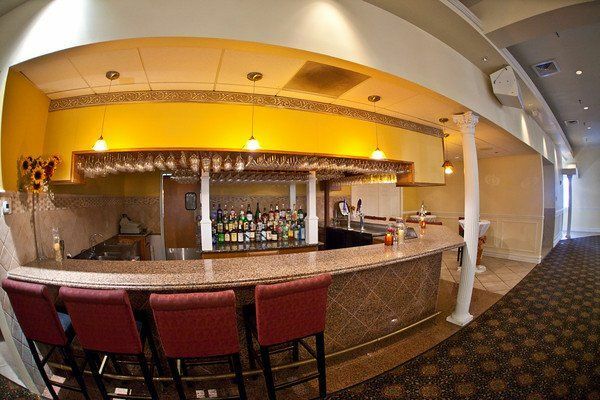 Beautiful granite bar, inside ballroom. LCD Projector and cake by our inhouse pastry chef. I don't normally write reviews but have to say we really enjoyed this place. Went to a wedding there over the weekend and thought everything was fantastic! Great food, decorations, facility, staff etc. If you are looking for a great place for a wedding you need to go check this place out!! Thanks so much for the great time!! So far so good. Everything has been off To a wonderful start! Cathleen and her husband are very responsive. They answer any questions and you have and they always make time if you need to come in to go over a few things. Can’t wait until wedding day to see how everything turns out!! 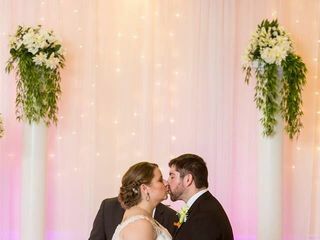 Just had my wedding Saturday at The clock Tower and I have to tell you it was amazing! I looked at several Venues but as soon as I walked in The Clock Tower I knew it was "the one". Being 2 brides and interracial the way Cathleen embraced us sealed the deal. As far as pricing they were in the middle, way cheaper than a lot of places, some not even as nice. The feeling you get when you walk in the place no photos can give you. 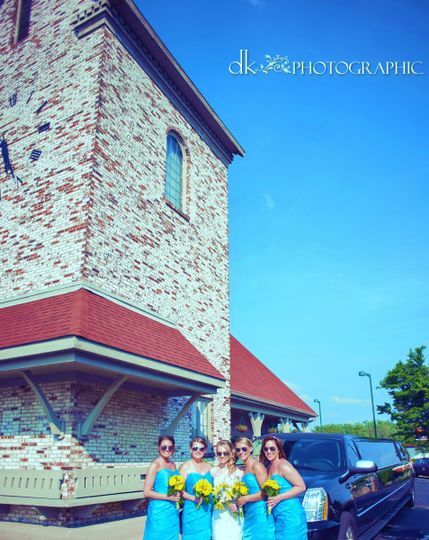 They went above and beyond and created a second bridal suite which was pretty amazing:) The food was great! Everybody talked about how good it was. The servers worked the floor and made sure everyone was taken care of. A lot of people/places treat you differently when they get your money so I feel it's important to let you know we paid in full 1 year in advance and Cathleen not only followed up with me several times to see how things were going but she also accomadated me on several occasions to come in with my family/friends to toss around ideas and plan for the big day. Her husband Ramon ( hope thats right:) was also wonderful. They own and fully operate this venue and they know their stuff. 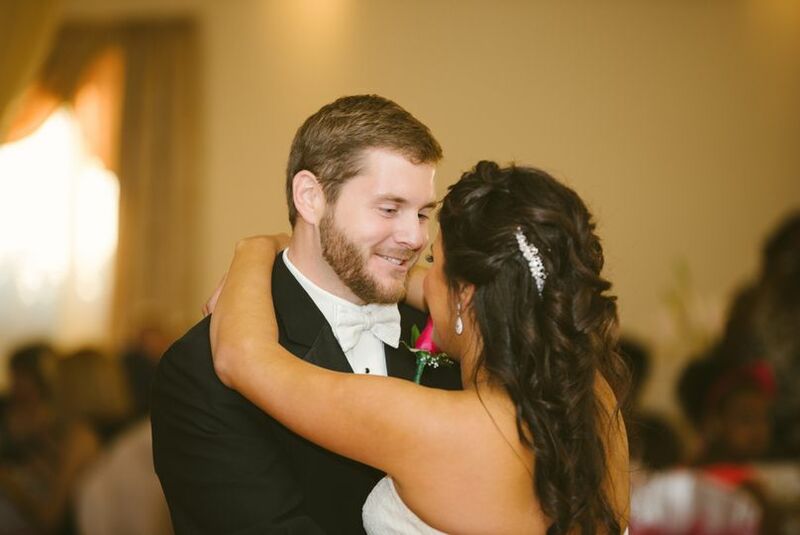 I am very happy with the services provided and my wedding was everything I dreamed of. Thank you Clock Tower for making it less stressful, when you have people working for you that care it makes all the difference and Cathleen and Ramon are some pretty awesome people! One of the most fun weddings I ever did was here, so I can&apos;t say anything but great words.